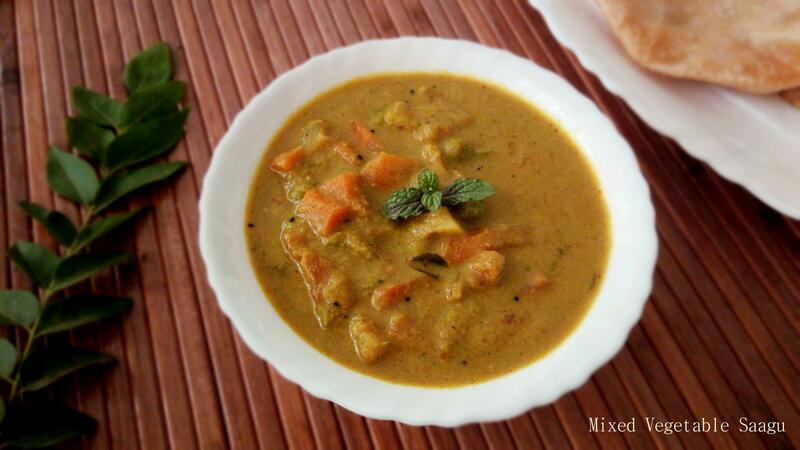 Molake Hurulikaalu Saaru is one of my top favourite curry recipe. Molake in kannada means sprouts and Hurulikallu means Horsegram. This is a spicy and nutritious rich curry.It’s very famous in few regions of Karnataka , though this bean has not made any appearance in any of the restaurant menu , it’s one of the nutritious and miracle pulse. Lot of delicious dishes can be prepared with this humble grains. As horse gram is grown in abundance after harvesting paddy , it’s easily available. No fertilizers are used to grow this crop, as it is not in much light ,its not made to the supermarkets with an organic label. So if at all you find Horse Gram with organic label with a pricey tag ,beware to pick a non organic version because no harmful fertilizers and pesticides are used in this crop. This humble bean has lots of nutritious , so be sure to add it in your diet. It is high in protein, vitamins and minerals . It even helps to promote weight loss and also good for diabetics as it is rich in dietary fiber. Which in turn helps to balance the blood glucose levels. It’s even said that it is helpful for people with Arthritis. Molake Hurulikaalu saaru is everyone’s favourite at my place.There are many other recipes which can be prepared from this humble grain , I’ll share you the recipes shortly. Also one more famous recipe from horse gram which I have already shared is Hurulikaalu Bas Saasu / Stewed Horsegram Curry . In a mixer ,blend onion ,ginger ,garlic ,coriander leaves to a fine paste, its a green masala paste ,set aside. Now prepare a red masala ,by blending tomato ,red chilli powder and coriander powder ,set aside. In a chutney jar ,add fresh grated coconut ,dalchini /cinnamon , cloves ,poppy seeds and grind to a very fine and smooth paste,by adding water. This is white masala paste. Rinse the jar and keep it aside. Take a Pressure cooker,heat oil,add Paste 1- Green masala paste and fry well,till you get nice aroma and oil leaves the corner, add sprouted Horsegram/Kulath ,fry for a minute. Add methi/fenugreek leaves and fry all water content is completely absorbed. For this add Paste2-Red Masala Paste and fry well for 5 minutes.Add 1/2 cup water and allow it to boil. Once it start to boil,add Paste 3-White Masala paste ,mix well and add 4 cups of hot water. Add salt, once it starts to boil add lengthwise cut green brinjals and potato wedges. Close the pan,and pressure cook for 1 Whistle. Add little hot water if it’s too thick to adjust the consistency. 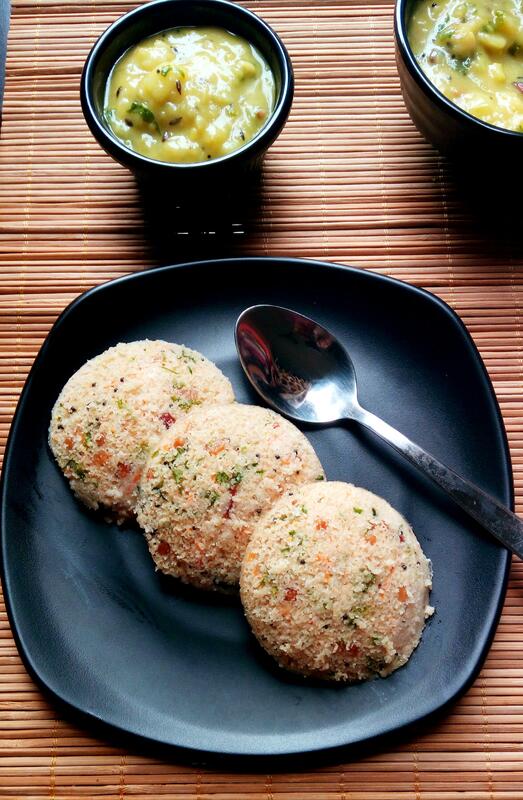 Serve hot with Raggi Mudde/Raggi Balls and White Rice. Adding methi/fenugreek leaves is optional,but it gives you a very nice flavour. Brinjal and potato is left to your choice. It prepares almost 1 ltr - 1.5 ltr of curry, i.e, you can add upto 1.3 ltrs of water not more than that. Grind paste 3 ,without adding water initially . Later add water and grind to a very smooth paste. If you find the process of grinding thrice as more time consuming,you can grind everything all together,but you'll not get it as delicious as grinding 3 paste separately. You can follow the same procedure to do spicy curry with any legumes. Close the pan,and pressure cook for 1 Whistle. Add little hot water if its too thick to adjust the consistency.